All Cuvées Egly-Ouriet rest three years in the cave before reaching the market, to allow wine reach its complexity, a better aging potential and a bettere expression of its terroir. For this reason the dosage is very low. The Champagne Les Vignes de Vrigny is 100% Meunier, among which 20% vin de reserve. Traditional vinification processes are followed, but the originality of this Cuvèe lies in the fact that it only comes from old Meunier vineyards, and there is no assemblage with other vines. Vineyards are located in Vrigny, classified as Premier Cru. Pedrigree Champagne with a unique terroir: the plants and the soil can be found in the wine, thanks to old vineyards and some wine-maker's secrets, as well as modern technology. Egly-Ouriet only produces wine with his own 11.5 hectares. The most important one is located in Ambonnay, homeland of Pinot Noir, the rest is in Bouzy, Verzenay and Vrigny. Quality starts here, on these soils, made by chalk levels, reflecting the sunlight and releasing warmth at night: in this way excessive water is absorbed and the grapes get their mineral taste. 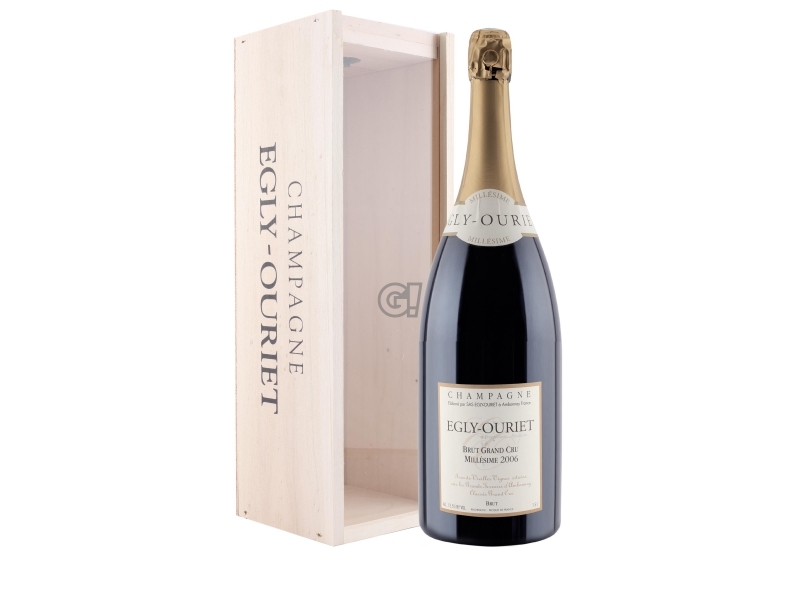 Egly-Ouriet is one of the few producing Blanc de Noirs - Champagne from Pinot Noir, and is able to underline the Ambonnay terroir features. It was also one of the first producing pure Pinot Meunier from its 2-hectare property in Vrigny.